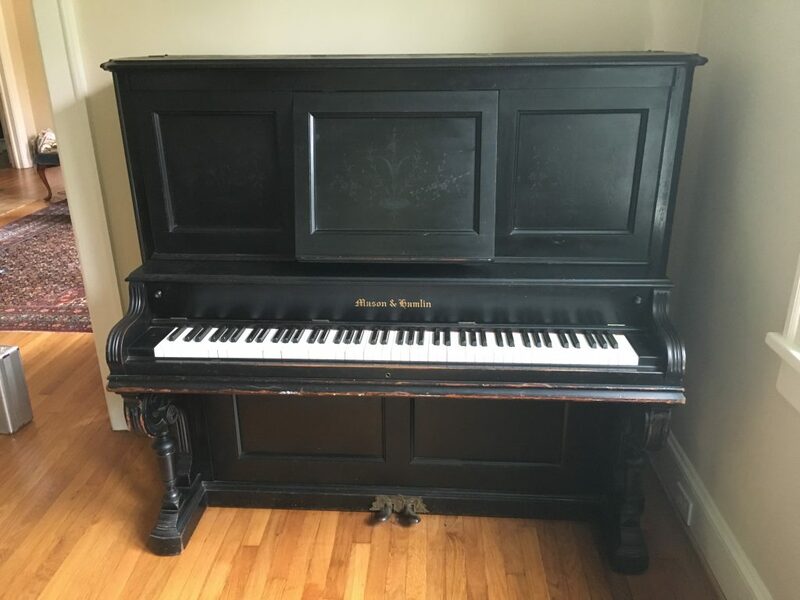 I recently found this beautiful antique upright piano that I’ve decided to take on as a personal rebuild project. 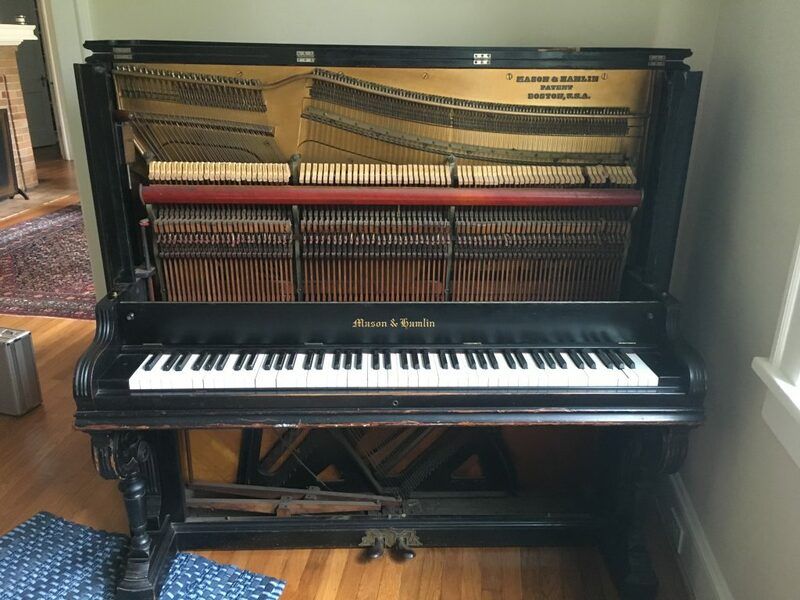 This Mason & Hamlin upright was built in 1892. 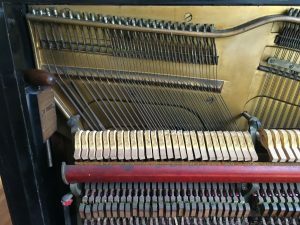 It is a relatively rare piano because of the way it is tuned. Modern pianos are typically built with steel tuning pins driven into laminated layers of wood. The tight grip of the wood on the pin creates the tension needed to keep the piano in tune. This antique piano I found has a screw mechanism instead of the typical wood pinblock. 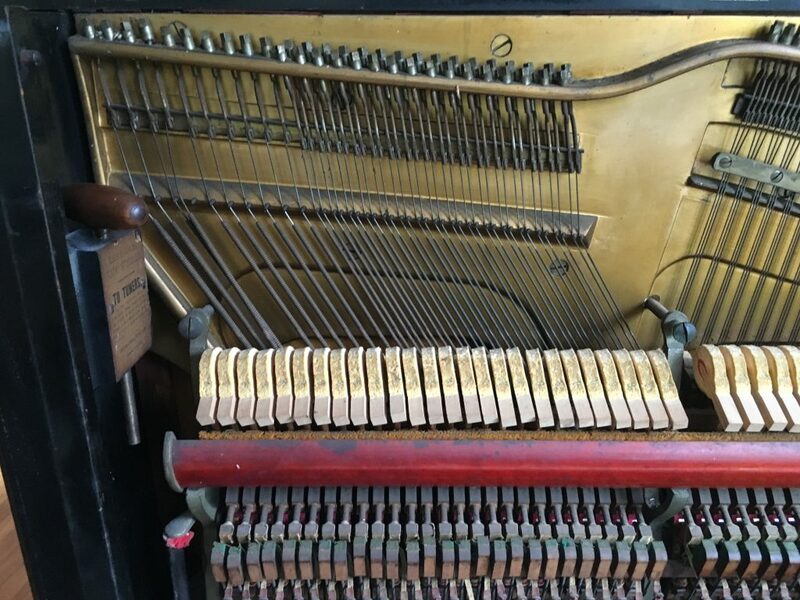 This type of tuning system was an invention of the Mason & Hamlin piano company and, at the time, was considered by many to be superior to the pinblock method. These type of pianos have been known to hold their pitch for years, as opposed to months with the more traditional tuning system. Unfortunately, the screw stringing system was abandoned after resistance from the buying public. I look forward to beginning this rebuild project and learning about this amazing type of tuning system that appeared to be far ahead of its time. Check back often for progress updates on this beautiful antique.